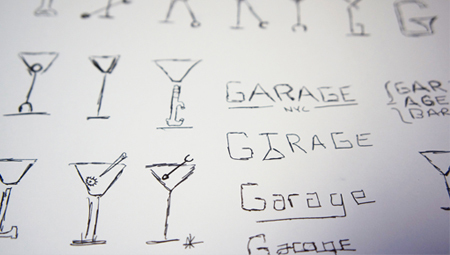 Garage Martini Bar of NYC is a conceptual branding idea based on the actual place located in Manhattan. 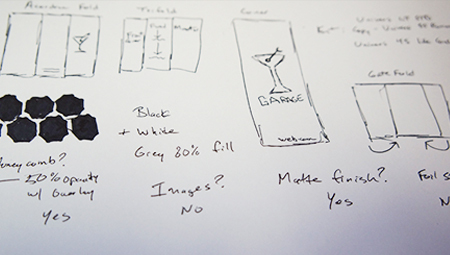 My thoughts and direction were to update the look and image of the brand while maintaining the neatness and cleanliness of its New York style. In doing so, I used a combination of both Serif and Sans Serif fonts, blending old and new, and I stuck with the basic color palette of black and white while using different shades of grey as accent colors. My idea was to use these sharp-contrasting colors in moderation combined with a minimalistic and controlled approach to really let the brand stand on its own legs… without hiding behind the flash and flare of a graphic-heavy design. In my opinion, minimalism is more sophisticated, which is what I envision this brand to be.